It’s Valentine’s Day and nothing says “LOVE” like a selector with a third position like the new Full Auto Ambi Selector from KE Arms. This selector is intended to work in M16, M4, and registered full auto AR15 type machine guns. Improves handling for left handed and right handed shooters making all manipulations easier. Ther selector includes one full length arm for the shooter’s strong side thumb, and one shorter arm for the opposite side. -Selector Arms are machined from 6061-T6 Billet and Mil 8625 Type III Class 2 anodized. 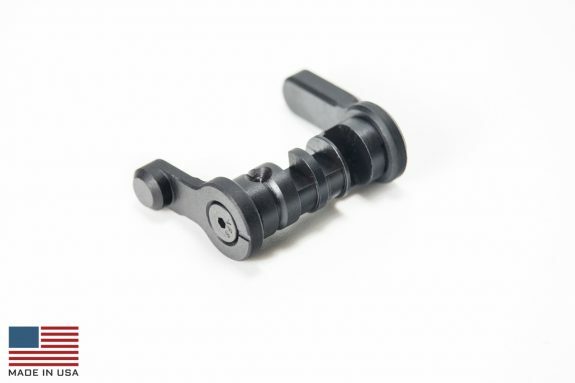 This selector is considered a machine gun part and possession of it without the appropriate NFA registered weapon could be a violation of federal law. Contact sales@kearms.com for agency or departmental purchases.